One upset and a dominating performance lock up two more roster spots for the StarLadder Minor. Both North America and Southeast Asia only have one slot apiece in the StarLadder ImbaTV Dota 2 Minor, so the qualifiers for those coveted positions was extremely heated. In the North American qualifier, compLexity Gaming and Team Team, two proven squads with experience on the Dota Pro Circuit this season, dispatched their round one opponents and clashed in the second round. CompLexity proceeded to improve their perfect record in the event and moved into the Grand Finals at 4-0 after sweeping TT. All signs pointed to TT defeating the recently formed Flying Penguins in the lower bracket and facing compLexity in a rematch, especially since they already swept them once in the opening round. That wasn’t the case however, as Penguins proceeded to take the round against TT 2-1. Led by storied Dota 2 veteran Jacky “EternaLEnVy” Mao, the group of former TT, compLexity, and paiN X players took down TT in a convincing fashion. Ironically, their win against TT played into what Envy is best known for. Kicking players from his teams. This time the player kicked was Nico “Gunnar” Lopez, who was playing for TT throughout the event. If anyone was wondering what happened with me and flying penguins, I was kicked and replaced with Ryoya after the major quals finished. I’ll be playing with TeamTeam for this minor qualifier. They went on to face compLexity in the finals and battled the NA titan to an 80 minute opening match showdow, eventually claiming the first win. That momentum carried over into the second match, which saw the ragtag roster complete the upset and lock in their spot at the upcoming Minor. At the same time in Southeast Asia, anything but an upset happened as BOOM ID claimed the top seed of the event. The recently reformed Tigers managed to make it into the event despite one of their best players, Chai “Mushi” Yee Fung was busy preparing to play in the Chinese qualifiers with Team Aster. Despite still having Danil “Dendi” Ishutin on their roster, they were soundly beaten twice and eliminated from the event. 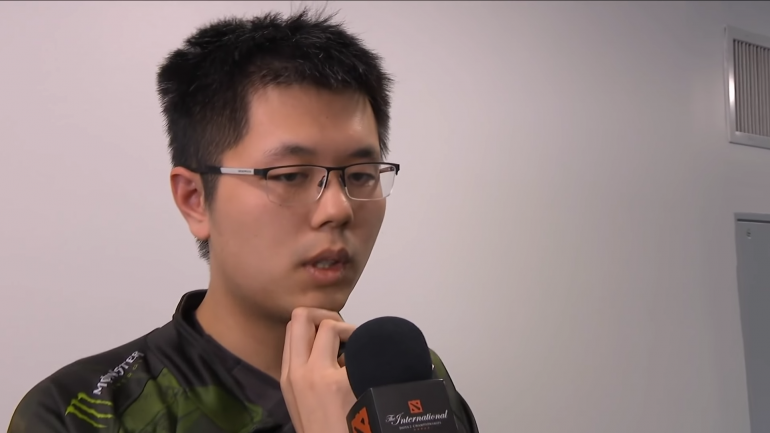 This upsetting loss along with the uncertainty of Mushi’s allegiance to the team might end the new era of Tigers Dota before it even truly began. Outside of Tigers being eliminated early, BOOM took care fo business, going an undefeated 6-0 against the field. They defeated both DeToNator and Lotac to take the SEA’s spot in the Minor. The remaining qualifiers will all wrap up between Feb. 12 and 13, leaving the entire roster locked in for when the StarLadder ImbaTV Dota 2 Minor kicks off on March 7.